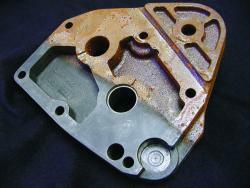 For many rebuilders, used parts often come with different levels or rust and corrosion. 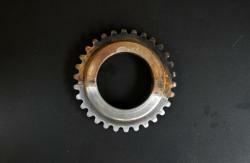 No matter how well you can clean parts, rust will present a problem once it has already formed. 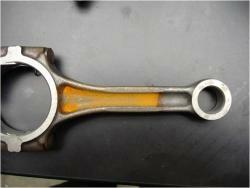 Fortunately, we offer powerful Rust Removers to restore parts to looking brand new. Combine corrosion-removal technology with our powerful cleaners to restore parts to performing and looking brand new. Zerust’s line of powerful solutions will remove rust and tarnish from metal items during rework and recovery applications. Zerust offers a range of technologies, extending from pH neutral products to more aggressive and acidic products that also inhibit flash corrosion on cleaned surfaces. This is a safe rust remover that recovers rusty parts while replacing labor-intensive abrasive cleaning that can damage surfaces. Zerust 620-RR is a pH neutral dip that removes rust by breaking the iron-oxide chemical bond of rust while not harming any other metals/non-metals. This product removes rust even in crevices, pits and threads, restoring the part back to its rust-free condition. This is a safe rust remover that recovers rusty parts while replacing labor-intensive abrasive cleaning that can damage surfaces. Zerust 620-RR is a pH neutral dip that removes rust by breaking the iron-oxide chemical bond of rust while not harming any other metals/non-metals. This product removes rust even in crevices, pits and threads, restoring the part back to its rust-free condition. This rust and tarnish remover is fast -acting, safe and non-toxic. It removes light to medium rust and tarnish, even in cracks and crevices. Axxaclean 3048 cleans and deoxidizes ferrous metals, brass, copper and various alloys without leaving a gray residue. It provides immediate protection from flash-rust or re-tarnishing for several days in a controlled environment. It may be applied by immersion, brush or spray.